Luckyfinds: Alice in Wonderland in Cinemas by March 4! Alice in Wonderland in Cinemas by March 4! Walt Disney’s visionary director, Tim Burton, combines live action and animation in his epic 3D magical, fantasy movie inspired by the classic tale of the young girl who embarks upon an exciting adventure in Wonderland. The animated Alice in Wonderland mixes parts from Alice in Wonderland and In Through the Looking Glass, books written by Lewis Carroll. Alice embarks on a fantastical journey to find her true destiny and ends the Red Queen’s reign of terror. 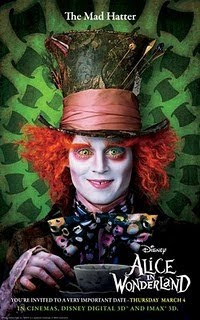 White Rabbit, Tweedledee and Tweedledum, Dormouse, Caterpillar, Cheshire Cat, and of course, the Mad Hatter. ALICE IN WONDERLAND has been digitally re-mastered into the image and sound quality of The IMAX 3D Experience, which will be exclusively available at SM North EDSA IMAX Theater. The film premieres in Manila theaters on Thursday, March 4, 2010. 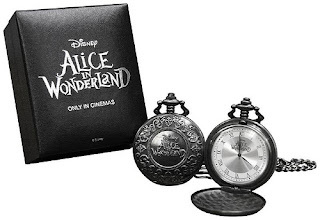 Now get a chance to win Alice in Wonderland limited edition pocket watch from AZRAEL when you blog about the movie. Thank you for your feedback. It is nice to hear that someone appreciates what I blog online. I find such comments very rewarding and it inspires me to hone my writings even more.